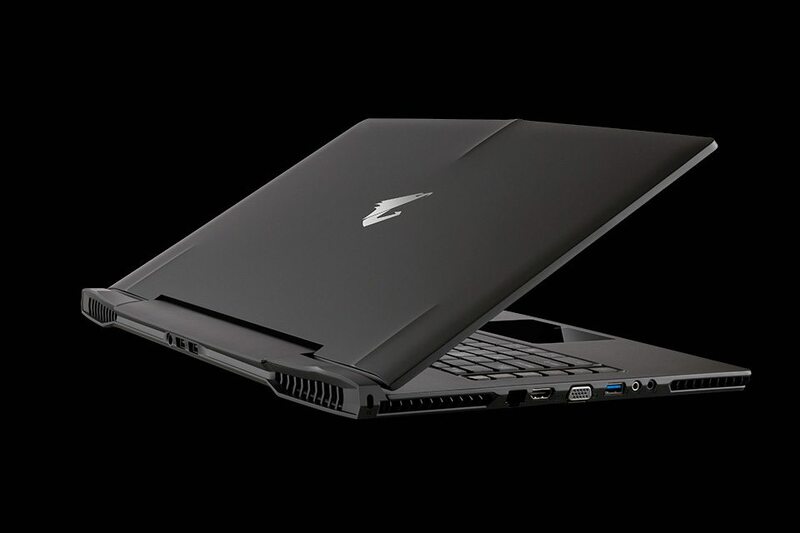 I was incredibly impressed with the original Aorus X7 upon its release; the laptop packed an impressive amount of gaming horsepower into a dramatically thin 17-inch frame. Now the second version is here, with upgraded Intel processors and Nvidia graphics cards… and a few other nice changes that I’ve highlighted in the spec sheet below. Let’s see how it compares to the previous generation! Other specifications exist for the X7 v2. It’s possible to buy configurations with greater capacity storage solutions and you can install up to 32 GB of RAM (as two slots are left free with the 16 GB configuration). As you can see, the Aorus X7 v2 is a considerable upgrade over its predecessors in almost every respect. There is a new processor capable of a 200MHz higher turbo and faster 1866MHz DDR3L RAM. Storage is also improved with space for three mSATA SSDs in a crazy RAID0 array, and the mechanical hard drive can now be 7200RPM. The biggest change though is the new GPUs: two GTX 860M cards in SLI. These should provide at most 40% more power than the previous generation 760M cards – quite an upgrade. Finally, the 1.3-megapixel webcam is no more – the 1.0 megapixel unit is now standard. Sorry, Skype fans. As there are no substantive packaging, physical features or usability changes, we will not cover these topics a second time. For a more general feel of the Aorus X7, please read our original Aorus X7 review. As usual, we’ll be testing the Aorus X7 v2 over a week-long period in the lastest games, as well as a full complement of gaming benchmarks. We’ll be looking to see how much of a difference these new components make. Games played included Counter-Strike Global Offensive, Diablo III and The Crew (Beta). The Aorus X7 was an absolute beast – and the new v2 edition is even better. The laptop seems capable of handling even the latest games at high settings and the 1080p resolution – sometimes I got better results on the Aorus X7 v2 than I did on my desktop gaming PC! The laptop seemed to get a little less hot than its predecessor, although noise levels remained high during gameplay. As expected, the combination of a new generation of Nvidia GPUs and SLI result in our highest scores yet for the Aorus X7 v2. Performance in the first two benchmarks is similar to the previous gen X7 and the single GPU P35W v2, but as the demands grow higher the difference in quality becomes more apparent. Throughout the test, GPU temperature remains low too – a testament to the bevy of fans and grilles used here. Here the generational gap makes a bigger difference than that of SLI, but with both advantages the P35W v2 has no chance to compete. In the CPU-bound test, we see similar (or indeed worse) results compared to previous generations. The Aorus X7 v2 comes with the option for a triple RAID0 configuration: three solid state drives working in concert. This provides no data security, but it does mean you get three times the storage and almost three times the speed of a single drive, and you’re not limited by your SATA interface. And indeed, we see unparalleled read and write speeds for the Aorus X7 v2. This is undone somewhat in the longer queue depth tests, showing the potential downside to this triple SSD design. 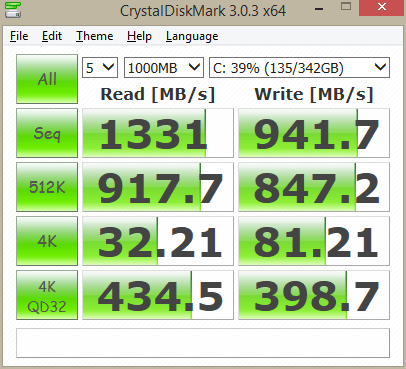 In normal use though, you are definitely going to see a performance increase compared to two SSDs in RAID0. This is a CPU and memory test, so we’d expect to see similar results to the P35W2… and true to form, that’s exactly what we get. Metro is a challenging game, both on you and your PC. 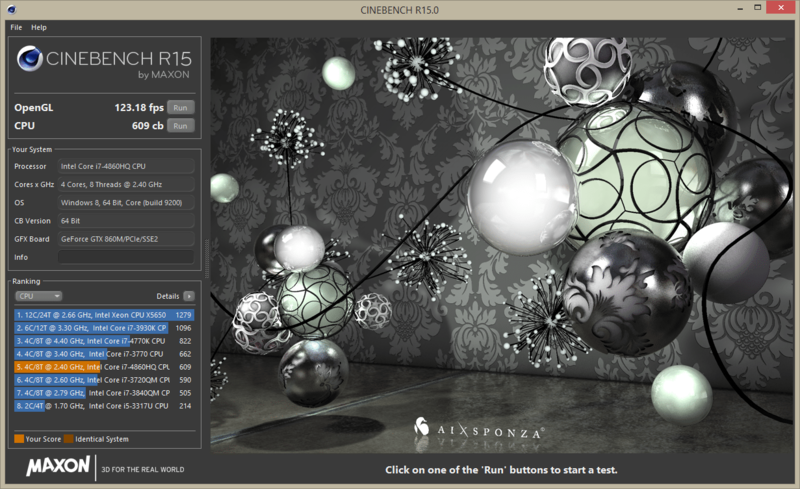 Its benchmark tool is quite formidable, so let’s take a look at how the X7 v2 performs in an actual game. The settings are Direct X 11 renderer, 1920x1080p, High quality, AF 4X filtering, normal motion blur, no SSAA, DirectX 11 tessellation or PhysX. The result – 49 frames per second average – is the first really impressive result for the X7 v2. This is one of the most challenging games on the market, at high settings – and the dual GPU solution is killing it. It’s pretty remarkable for a laptop, and speaks well to the laptop’s ability to remain relevant longer than its more moderately outfitted peers. If you can run Metro Last Light this well, then you shouldn’t have any issues at 1080p for at least a couple of years. An average FPS of 36 is reasonable, given that CoH 2 doesn’t make use of a second GPU; generally we see the best results from machines with a single good GPU. That puts the X7 v2 at a small disadvantage compared to the P35W v2. By comparison, the previous generation of Gigabyte laptops tested recorded scores of 24, 26 and 20 – so 36 FPS is a massive improvement here. The Aorus X7 v2 is a strong upgrade over its predecessor, upgrading to the latest Intel processors and Nvidia graphics while retaining the same largely excellent design. While forthcoming Nvidia 900 series mobile graphics may eclipse this version once again, for the time being the X7 v2 is one of the most powerful notebooks you can buy.